How To Install Carbon Fiber Clutches! - Muscle Cars Zone! How To Install Carbon Fiber Clutches! 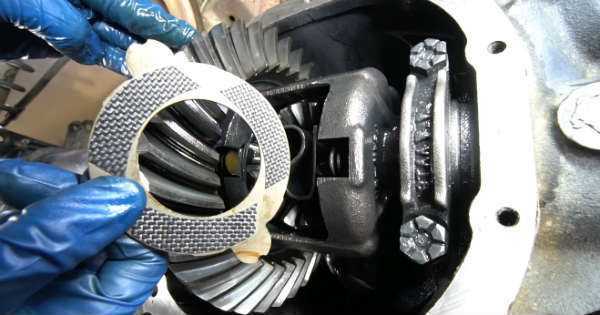 In this one, ChrisFix teaches us how to install carbon fiber clutches and rebuild a limited slip differential. Having said this, when your wheel starts to slip and spin the carbon fiber clutches will send massive power to both of the wheels. With this in mind, you`ll get bigger acceleration, better traction and handling. Besides teaching us how to install carbon fiber clutches, ChrisFix will also demonstrate how to install a new aluminum differential cover. He installs the aluminum differential cover to help with cooling. It`s always great to keep the carbon fiber clutches cool in order to last longer. Great thing about this aluminum differential cover is that it has a fill bolt and a drain bolt which means that removing the cover in order to change fuel is not necessary. Other great thing about this aluminum differential cover is that you can add oil cooler and a temperature sensor as well. Now, the only question that remains is how ChrisFix know that the slip diff is worn out? Well, he was drifting flat out at the track when all of a sudden he felt the rear end and because of that he had trouble being consistent. After that, he went to the drag track for some racing but when he performed a burnout to get the tires temperatures up, he noticed that only one of the wheels was spinning. However, this tutorial is not only for track cars. In fact, it`s great for all kinds of cars because we can all find ourselves in a situation where we lose traction. So, check out this awesome carbon fiber clutches tutorial and learn how to do it yourself. Finally, follow this link to see the 14 best carbon fiber parts of 2017!